Last updated on April 28, 2014 November 11, 2015 by Daniel Waldron for Armagard Ltd.
Digital signage solution specialists, Armagard, analyse seven sectors reaping the benefits of increased digital signage use. Digital signage solutions serve various industry sectors in different ways. However, they all share one common benefit: targeted, real-time audience communication. You can benefit from digital signage investment by providing the right information, at the right time, aimed directly at your audience, raising awareness of your business. You will experience improved business communication, increased sales and revenue as a result of your own, uninterrupted permanent digital signage advertising display. Digital signage communications that serve a strategic purpose will help your business to reach its targets. Your Armagard digital signage solution will enhance the prominence of your message, resulting in wider impact. 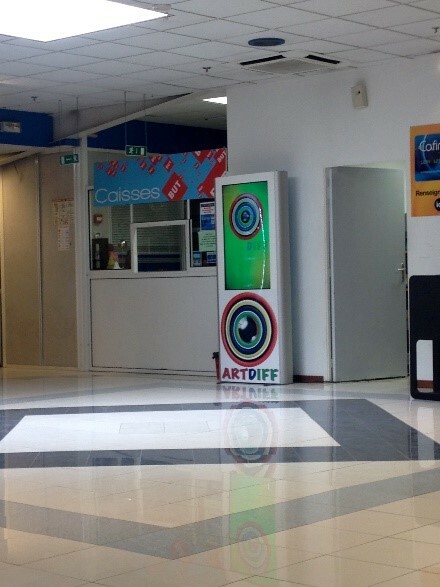 Indoor digital signage for a business headquarters in France. You can engage students and teaching staff alike with the installation of digital signage solutions in schools, colleges, universities and adult learning centres. Today’s generation is proven to be more responsive to digital media, why? Because it’s part of their culture and as a result, the modern teacher is also embracing digital media. Outdoor digital signage in particular can be positioned prominently to inform the community and parents of school achievements and upcoming community events. Outdoor digital signage in action on a University Campus. Use digital signage in waiting rooms, corridors and hospital restaurants to inform and educate patients and visitors. Teach them about diseases, health risks, treatments, procedures, prevention and any other health-related issues. Occupy the time that patients and visitors spend in medical facilities by putting your message in front of them using a digital display. To encourage further interaction install a digital signage touchscreen system and request feedback via your interactive display. This is a great way to improve service and raise patient satisfaction levels. Clear communication is what makes people feel welcome and comfortable in the surroundings of your restaurant or hotel. 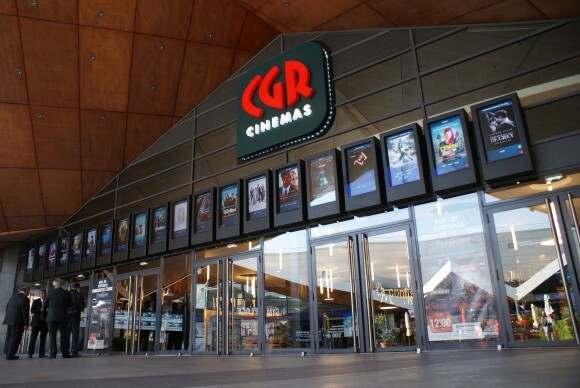 Digital signage advertising allows you to present information in multiple formats, in strategic locations where it will have the biggest impact. 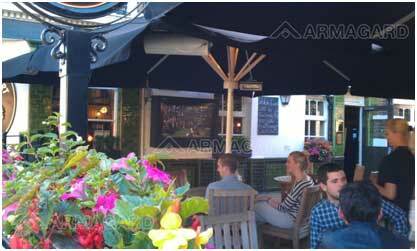 Outdoor digital signage in a London pub. 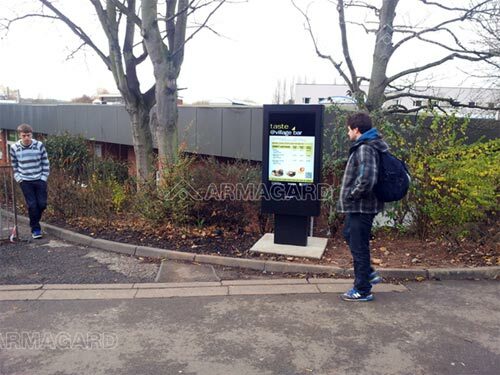 A number of high-profile public sector institutions have utilised Armagard digital signage solutions to provide real-time, targeted communications to the general public. Government buildings and the NHS are among Armagard public sector clientèle using digital signage advertising. The impact of digital signage across the retail sector has been immense, revolutionising the shopping experience. Customers are now presented with the opportunity to make more informed decisions and retail outlets are able to make their stores visibly alluring whilst increasing sales and revenue potential. 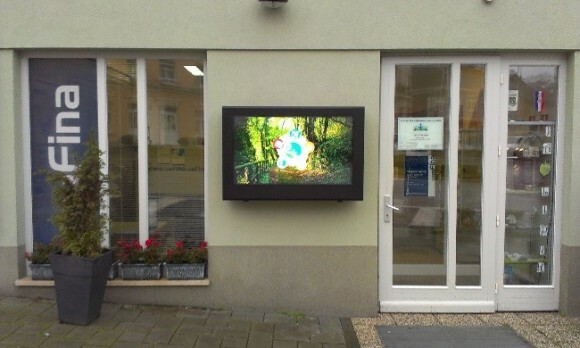 Retail outlet utilising digital signage outdoor touchscreen. Instant digital messaging has transformed how numerous transport hubs across the world communicate information to travellers. Airports, train stations and bus stations have all benefitted from installing digital media solutions, easing the strain on manned information points. 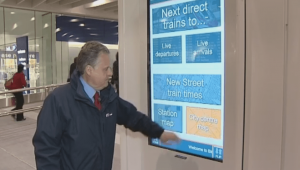 55” touch screen digital signage in use at Birmingham New Street. Whatever your industry sector, digital signage solutions are a sure-fire way to reduce costs, maintain control of advertising and information display, raise the image of your brand and increase sales and revenue potential. The possibilities are limitless! As designers, manufacturers and suppliers of indoor and outdoor digital signage solutions we provide everything you need for digital signage advertising. You can choose from standard designs or request a custom-built unit to suit your requirements, we’re flexible for you. Armagard provides premium products and we’re the elite name in our industry sector, winner of two prestigious awards in 2013, cementing our place as a recognised name in our field. You will benefit from safe and effective digital signage solutions that offer amazing value and give you a reliable source of product, service or information display for years to come. This entry is filed under digital advertising, digital signage, digital signage enclosure, outdoor digital signage, outdoor TV, touch screen. You can follow any responses to this entry through the RSS 2.0 feed. Both comments and pings are currently closed.